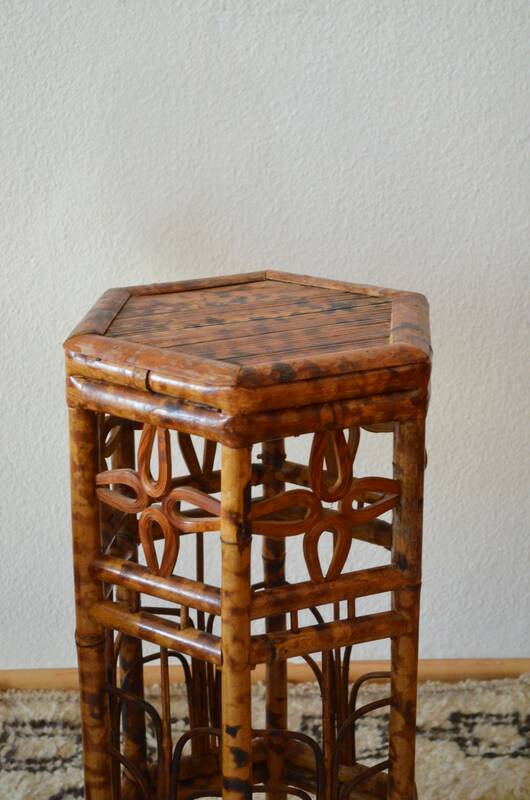 Beautiful hexagonal stool made of bamboo. 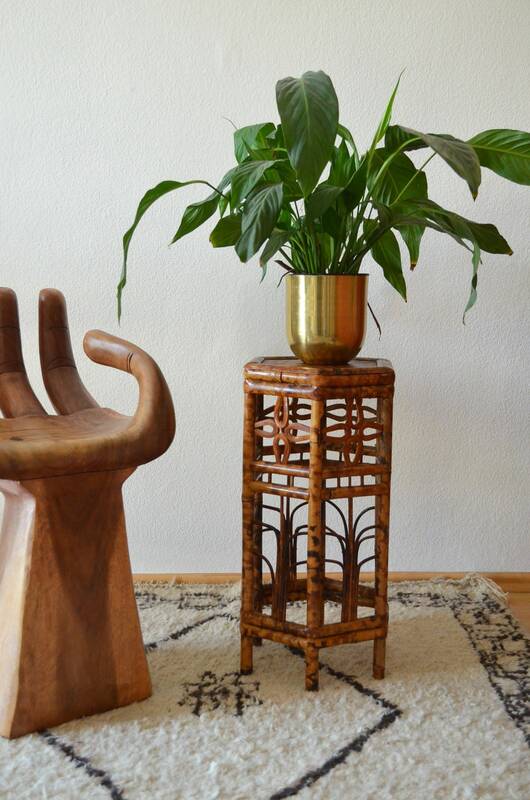 The wood has a beautiful look that is so wanted. 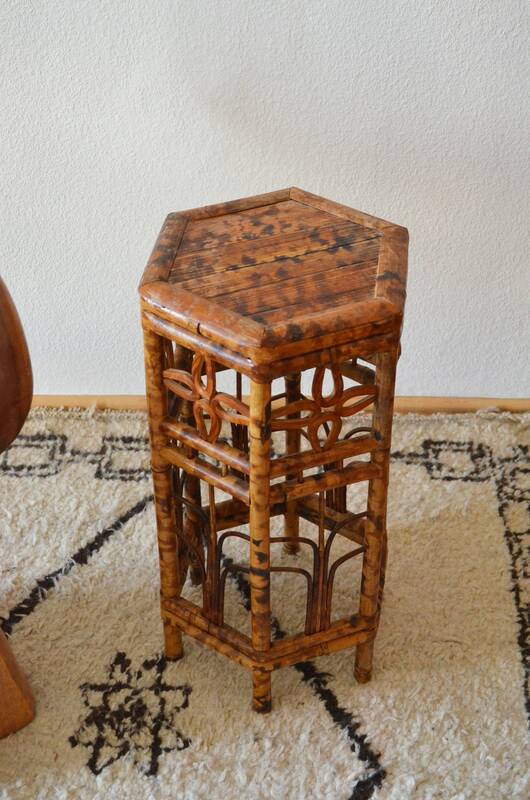 The stool is vintage and is in very good condition. If your home country is not listed as a shipping option, please send me a message! Shipping discount is possible when buying multiple items. Please contact me before you buy.